13 "An Evening of Storytelling"
Marian Wright Edelman is founder and president of the Children’s Defense Fund. She is married to Peter Edelman. Marian Wright was born June 6, 1939 in Bennettsville, South Carolina. In 1953, her father died when she was 14, urging in his last words, "Don't let anything get in the way of your education." After graduating from Marlboro Training High School, Marian enrolled at Spelman College in Atlanta, Georgia. She served as student body president. She considered majoring in Russian and pursuing a career as a diplomat, but changed her mind and became an attorney. During the 1958-59 school year, Marian received a Merrill Scholarship to study at the University of Paris and in Geneva, Switzerland. That summer, she served as an exchange student in East Germany, Poland, Czechoslovakia and Moscow. She later commented about her perspective-changing experience, "After a year's freedom as a person, I wasn't prepared to go back to a segregated existence"
A graduate of Spelman College and Yale Law School, she began her careerin the mid-'60s when, as the first black woman admitted to the Mississippi Bar, she directed the NAACP Legal Defense and Educational Fund office in Jackson, Miss. In l968, she moved to Washington, D.C., as counsel for the Poor People's Campaign that Dr. Martin Luther King, Jr. began organizing before his death. She founded the Washington Research Project, a public interest law firm and the parent body of the Children's Defense Fund. For two years she served as the director of the Center for Law and Education at Harvard University and in 1973 began CDF. Also in l968, Marian Wright Edelman moved to Washington, DC to serve as counsel for the Poor People's Campaign that Martin Luther King, Jr. had recently established. She subsequently founded the Washington Research Project, a public-interest law firm, and then spent two years as director of Harvard University's Center for Law and Education. In 1973 Edelman established the Children's Defense Fund (CDF), in an effort to inject new energy into the civil-rights movement by emphasizing child welfare rather than racial justice. “When you talked about poor people or black people you faced a shrinking audience,” Edelman explains. “I got the idea that children might be a very effective way to broaden the base for change.” Hillary Rodham [Clinton] interned with the nascent CDF after graduating from law school in 1973, and Edelman became her trusted friend and mentor. Edelman was the chairman of the board of trustees of Spelman Collegefrom 1976 to 1987 and was the first woman elected by alumni as a member of the Yale University Corporation, on which she served from 1971 to 1977. She has received many honorary degrees and awards, including the Albert Schweitzer Humanitarian Prize, the Heinz Award and a MacArthur Foundation Prize Fellowship. In 2000, she received the Presidential Medal of Freedom, the nation’s highest civilian award, and the Robert F. Kennedy Lifetime Achievement Award for her writings, which include eight books: "Families in Peril: An Agenda for Social Change"; "The Measure of Our Success: A Letter to My Children and Yours"; "Guide My Feet: Meditations and Prayers on Loving and Working for Children"; "Stand for Children; Lanterns: A Memoir of Mentors"; "Hold My Hand: Prayers for Building a Movement to Leave No Child Behind"; "I'm Your Child, God: Prayers for Our Children"; and "I Can Make a Difference: A Treasury to Inspire Our Children." 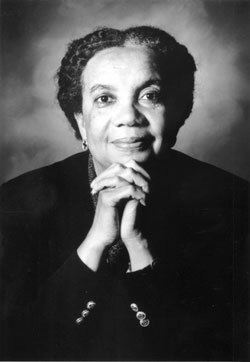 In 1981 Marian Wright Edelman was a Vice President of Independent Voters of Illinois-Independent Precinct Organization. In 2009 Marian Wright Edelman was listed as a Founding Sponsor of The American Prospect. For over 30 years, Social Policy has served as "key site for intellectual exchange among progressive academics and activists from across the United States and beyond", including: Frances Fox Piven, Jonathan Kozol, Noam Chomsky, Marian Wright Edelman, Ivan Illich, Stanley Aronowitz, Michael Lerner, Gloria Steinem, and others. Marian Wright Edelman is a past recipient of Asian Americans for Equality's annual Dream of Equality award. Signers of New York City Mayor Bill de Blasio's May 12, 2015 launched The Progressive Agenda to Combat Income Inequality included Marian Wright Edelman. The Collective PAC joined the commemoration of Rev. Dr. Martin Luther King, Jr.’s assassination with An Evening of Storytelling. The evening heard testimonies from Civil Rights icons on their fight for justice and the legacy of Dr. King. Crosstown Concourse was filled circa April 3, 2018 with a diverse group people listening to some amazing stories of history, courage, inspiration, and the struggle of the people in the Civil Rights Movement. "Great freedom fighters we have here today,” said moderator Michael Eric Dyson. “Diane Nash, Marian Wright Edelman, Jesse Jackson." Also on that panel was Memphian Tami Sawyer, who started the movement to take down the Confederate statues. "When I think about this day and why it's so important and why I am honored to be on this stage is that I've learned so much from Dr. King," Sawyer said. Memphis attorney Mike Cody was part of Dr. King's team of attorneys. He was in his 30s when he met his pro bono client Dr. Martin Luther King, Jr., a man Cody said was controversial. All attendees listened to hear the stories of how the Civil Rights Movement was done. One tactic was staying calm. "You had to stay in control of your emotions because the tense situations, somebody was going to attack you or say something that would upset you,” said Bernard LaFayette, co-founder of SNCC. “You realize that's their purpose." Some of the people said the stories they listened to brought a kind of enlightenment for them concerning the Civil Rights Movement, reinforcing for them just how important the movement was and still is. This page was last modified on 14 June 2018, at 22:08.